. . . buccia . . .
**Buccia** is the Italian word for ‘bark’. 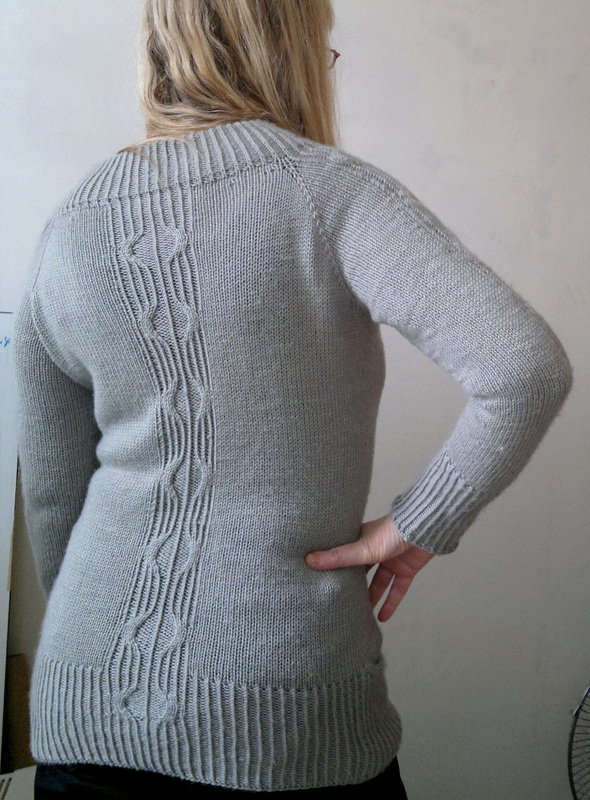 The cable stitch pattern reminds me of the bark of an old, old oak tree. It is worked bottom up and seamlessly in the round starting with a clever and neat way to make a tubular cast on in a contrasting color. The ridge is also worked in CC. Pretty decreases continue the ‘bark’ effect and shape the crown.
. . . koraal . . .
40% Wool, 40% Angora, 10% Camel, 10% Cashmere, 302 meters / 100 grams. It is supersoft: wool, angora, camel, cashmere !!!. And what’s more, it is dyed naturally with plant material in a Scottish island the Isle of Skye. This colorway is dyed with madder root (meekrap in Dutch and ‘garance‘ in French), a plant that is well known for it’s coloring capacities. Look at that glow. Koraal is a simple oversized cardigan worked back and forth with decorative cabled and twisted ribbing on the sleeves and body. It starts with a provisional cast on at the back (see here for my favorite provisional cast on). Both sleeves and the back are worked in one piece. Stitches are bound off for the neck at the back and cast on for the fronts. 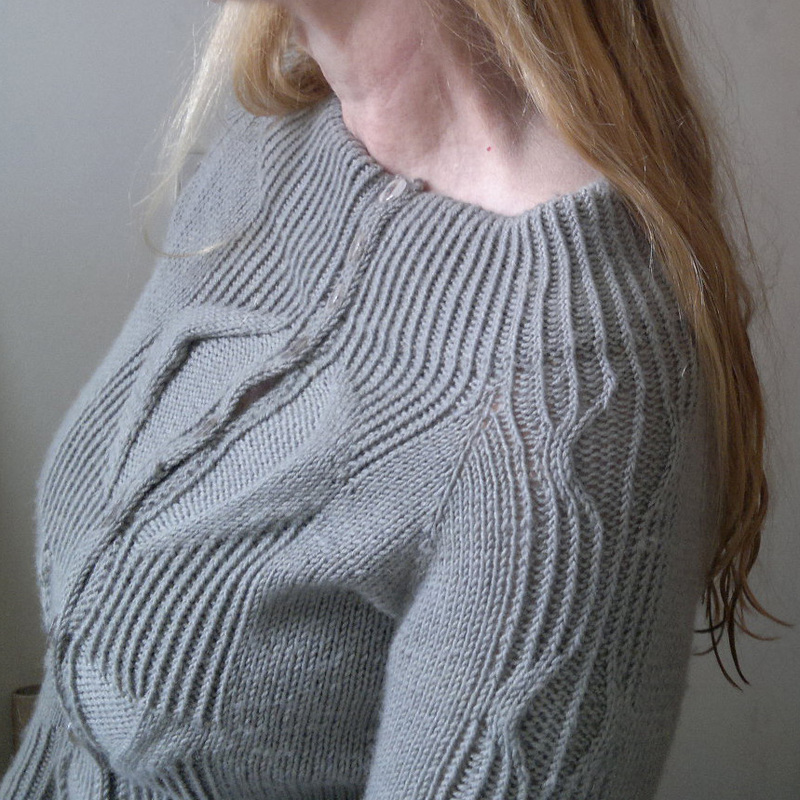 The sleeves are shaped using short rows. 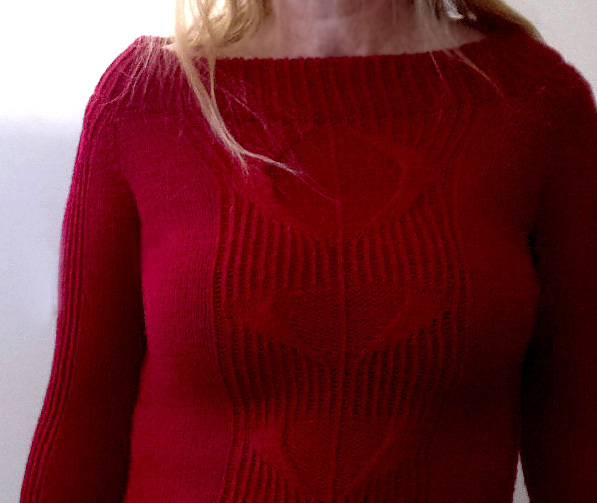 Once the sleeves are finished they are closed by a 3 needle bind off and the body is worked top down in one piece. Apart from sewing buttons and weaving in ends, there is no finishing to do. ± 950, 1000, 1050, 1150, 1250, 1400, 1550m (1040, 1100, 1150, 1260, 1370, 1550, 1700 yards) of DK / 8 ply. 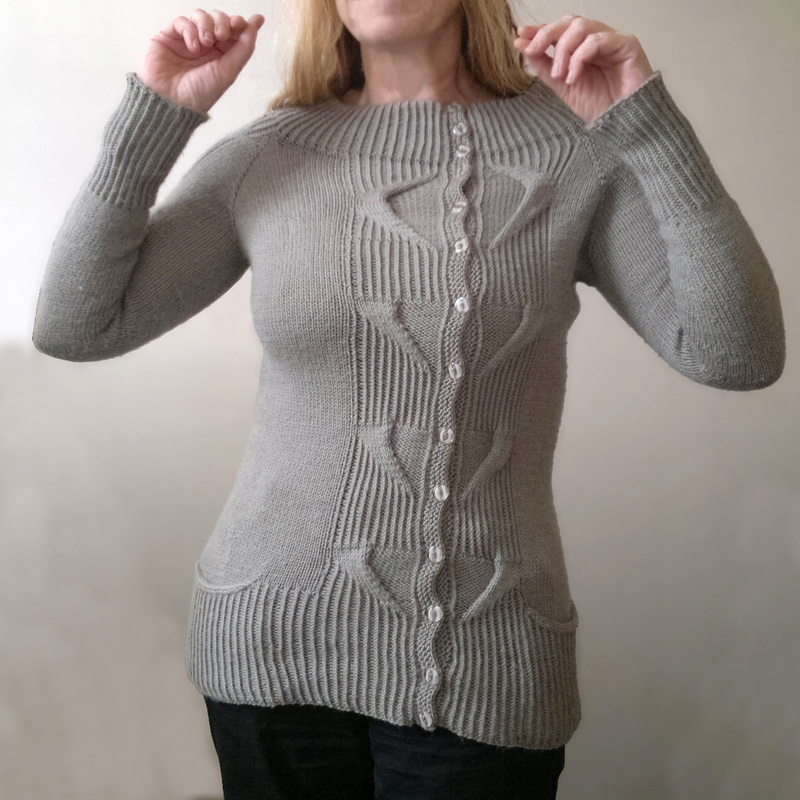 Soble : 2 patterns with the same large ribbed and cabled design: both feature a large doubled boatneck collar and pockets. 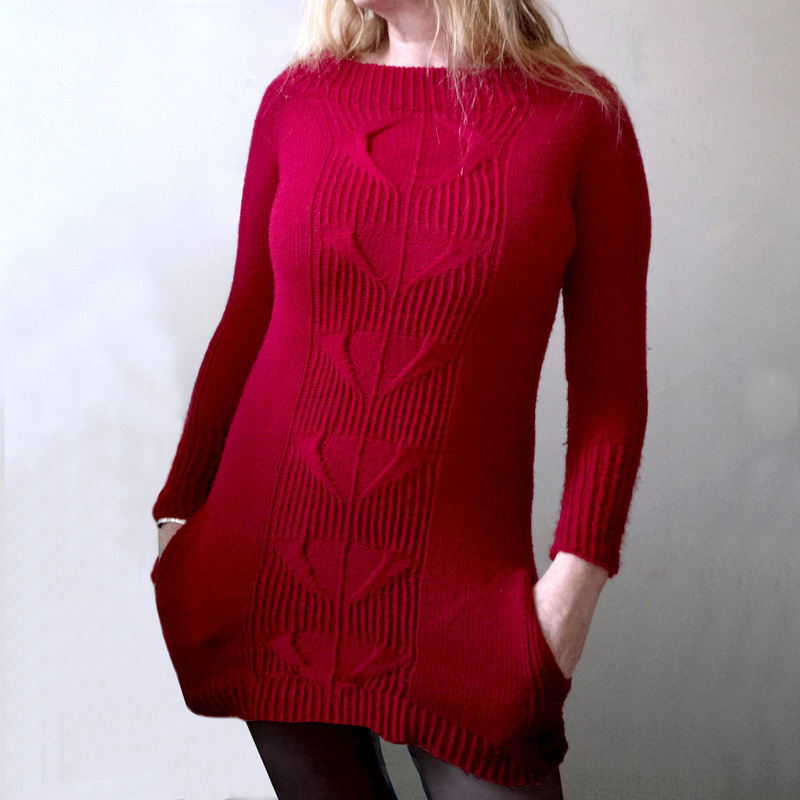 Soble tunic is a tunic or dress worked seamlessly from the top down in once piece with a raglan sleeve inset and pockets. 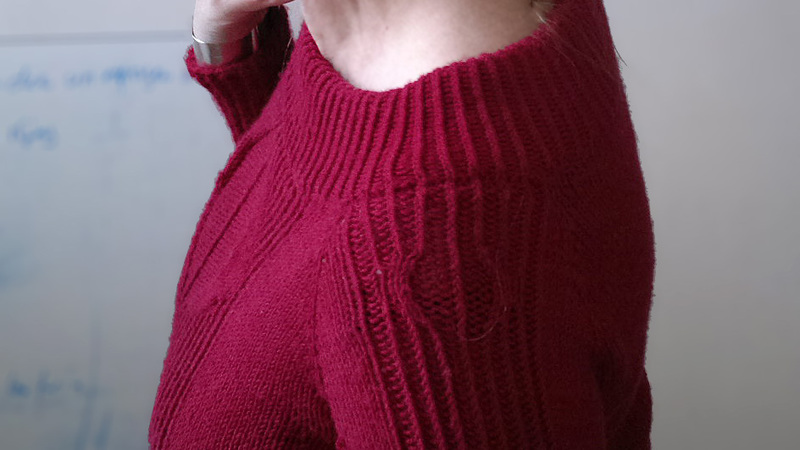 It features a large doubled boatneck collar and large cabled panels at the front, small ones on the sleeves and back and pockets.